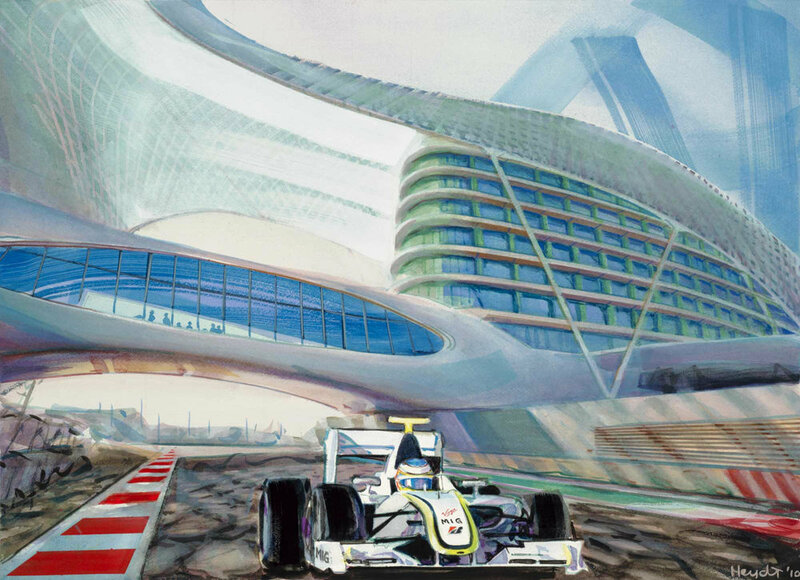 Formula One, Abu Dhabi | The authority will be raffling off a signed print – one of only 100 in existence – of the ‘Ferrari 2011’ painting by US artist Bill Heydt. “Heydt is one of America’s leading artists and a master of urban life studies,” said Dayne Lim, Product Development director, ADTA. “The lucky winner will be taking home a valuable memento of their time at a flagship Abu Dhabi event which is now a highlight on the annual F1 calendar.” The dynamic 16” x 20” in giclee print clearly distinguishes the Abu Dhabi Grand Prix by capturing a Ferrari Formula 1 car careering along the UAE capital’s state-of-the-art Yas Marina Circuit with the stunning, five-star Yas Viceroy Hotel – the only one in the world straddling an F1 race track – in the backdrop.